The streets of Ulveston are always full of parades and events, such as the Flag Fortnight, the Lantern Procession and the Easter Bonnest Parade. 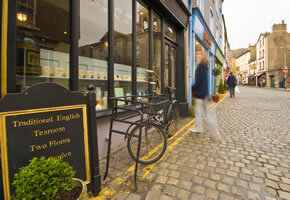 As the festival capital, Funess combines great events with superb local shops pubs and traditional markets. The streets are colourful and have cobbled streets, and the side alleys are inviting, offering plenty of activities all year around.